Correct your photosphere’s calibration any time after uploading it to HoloBuilder with controls as easy as in a flight simulator. 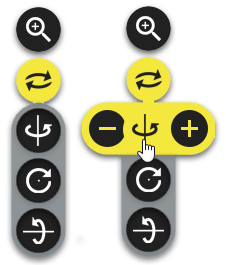 Level your photosphere with the calibration tool (see image below). 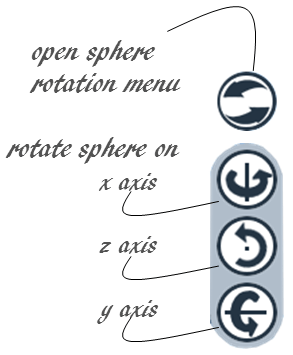 Simply click on the ‘Rotate sphere’ button located in the working area of the editor. Calibrate your photosphere on the x-, y- and z-axis for a straightened view. Do not compensate by tilting your head, just level your photosphere and enjoy the experience. If you have any further questions regarding the scene orientation or any other aspect of HoloBuilder, please do not hesitate to reach out to us a support@holobuilder.com or contact us via live chat on our websites. This entry was posted in HoloBuilder Tutorials and tagged 360 degree panorama, construction, editor, HoloBuilder, improvement, photo sphere, photospheres, real estate, Tutorial, virtual reality, virtual tour, VR. Bookmark the permalink. ← Let’s celebrate: HoloBuilder v100 is live!